Australia's first cat cafe; purring, or non purring? 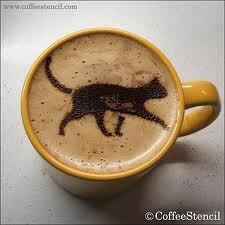 Yum; I can't wait to have my first cattuccino at Melbourne's first Cat Cafe. Or maybe you'd prefer a kittea? Don't love the thought of hairballs with your scone? Don't worry, neither do the health inspectors. The set up will include a separate cafe that will look into a cat area, where you can "view the cat's natural behaviour in a fur-free space" while enjoying a coffee and cake. Their website indicates: "Cat Cafe Melbourne will offer a whole new social environment never before experienced in Australia. We will provide a fun, comfortable, and most importantly, kitty filled space for you to relax and play with several lovely cats from rescue shelters." The Cat Cafe Melbourne has the goal of being crowdsourced through indigogo, and if their Facebook page popularity is any indication (over 13,000 fans at time of publication), they will surely open in July of this year as planned. I had no idea previously that cat cafes are quite popular world wide. 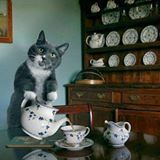 The first cat cafe opened in Taiwan in 1998, and since spreading to Japan, Vienna, Russia, Germany, China, Thailand, the UK, France, and more! Cat cafés are the most popular in Japan, with Tokyo being home to at least 39 cat cafés. The first was Cat's Store (猫の店 Neko no Mise? ), by Norimasa Hanada, which opened in 2005 (wikipedia). 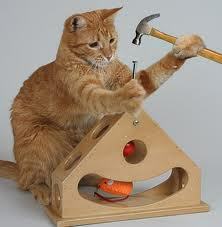 Crazy cat ladies are going extinct. Many apartments and rental properties forbid pets, and since urban life in bigger metropolitan areas can be stressful and lonely, cat cafes are becoming a popular alternative to private pet ownership. Do you love cats? Enough to pay $10/hour to hang out with them? Wikipedia and other news outlets report that rabbits and even goats have been added to the cafe concept to provide a unique element. The Cat Cafe Melbourne will be located at 375 Queen Street, Melbourne, and will be working with the Geelong Animal Welfare Society to select the perfect, non-smelly cats for the cafe. Why? To release your inner crazy cat lady. Is this open yet?! 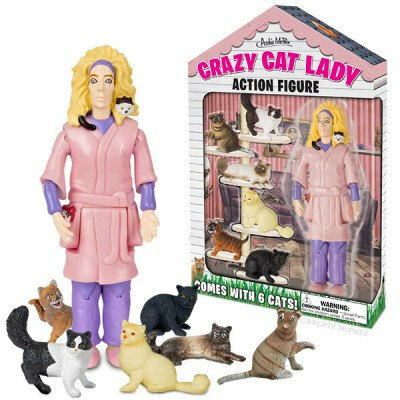 My inner crazy-cat-lady needs this haha.